Should we have a Department of Offense in place of a Department of Defense (DoD)? Wouldn’t “Offense” be more accurate? Perhaps in more ways than one? Consider the revival of “great-power rivalry,” meaning China and Russia as America’s main rivals. (Terrorists may be trouble, but you don’t necessarily need nuclear-powered carriers and stealth bombers to neutralize them.) The new “cold war” is all the rage within the DOD, even though China and Russia are regional land powers, having little of the arsenal of global power projection in which the U.S. takes so much pride. A sputtering and antiquated aircraft carrier that needs tugboats to get around: not much to fear there, America. Like Russia, China has a single aircraft carrier, though there are plans to build one or two more. Even if China does, the US will still maintain an enormous lead on its “great-power” rivals. Some rivalry! The US Navy currently has eleven fleet aircraft carriers, with two new ones under construction and a further two on order. 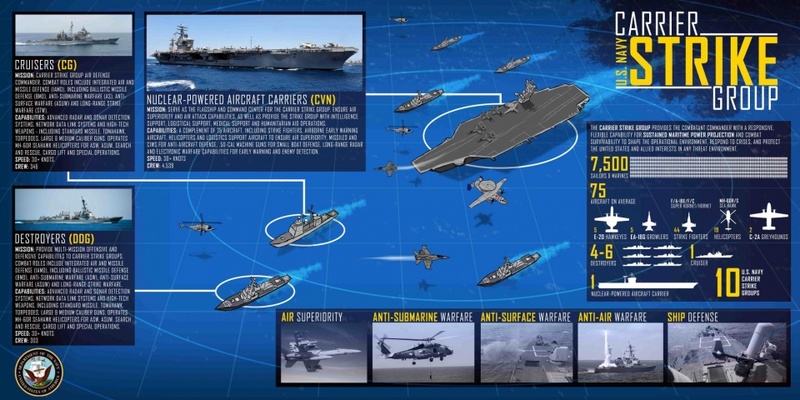 Indeed, to make space for all these new carriers, the Navy has plans to retire CVN-75, Harry S Truman, 20 years early, an idea even Congress finds silly. But give the Navy credit. They knew Congress would balk at early retirement for the Truman, which doesn’t mean they’re backing off on new carrier orders. Instead, the Navy wants it all: two new carriers and a refurbished and refueled Truman. “If we were to give you more money, you’d keep the Truman in place, wouldn’t you? Would that be your druthers?” Sen. Mazie Hirono (D-Hawaii) asked. “Our druthers would be to not surrender a carrier that has 50-percent of its life remaining, but we would like to not do that at the expense of moving out on these other technologies that every assessment has told us” the Navy will need in the future, [said] Vice Adm. Bill Merz, deputy chief of naval operations for warfare systems. “So basically we should consider giving you more money, right?” Hirono asked. You just have to love these admirals and generals. The answer is always more money! US“defense” experts have always been most expert at getting the biggest slice of the federal budgetary pie. That, and threat inflation. Hence the appeal to a new cold war with China (primarily an economic juggernaut) and Russia (an energy giant with lots of nukes), even though the US military clearly outclasses both countries in global dominance and “defense” spending. The world of “defense” is just getting too absurd for me. What next? A US carrier strike group deployed off the coast to defend our border with Mexico? Our president did say we’re being invaded. You heard it here first. William J. Astore is a retired lieutenant colonel (USAF). He taught history for fifteen years at military and civilian schools and blogs at Bracing Views. He can be reached at wastore@pct.edu. Reprinted from Bracing Views with the author’s permission.